The PS4 Pro arrives November 10, and when it does, it'll have a veritable cornucopia of games optimized for its new specs. 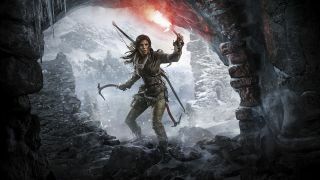 One of those games is Rise of the Tomb Raider, and it's giving players three options on how they want to spend the PS4 Pro's extra processing power: 4K resolution, improved framerate, or enhanced visuals. And save for the first option, you don't need to rush out and buy a fancy new 4K TV if you want to experience these. There's been a bit of confusion over what PlayStation fans need if they plan on buying a PS4 Pro. While some games' PS4 Pro-specific enhancements require a 4K TV and/or HDR, other games have options for those of us still getting our entertainment via 1080p. Personally, I'm glad that Rise of the Tomb Raider, already one of the prettiest games this generation, is one of the latter.